Spartacus: Gods of the Arena - Trailer. The House of Batiatus is on the rise, basking in the glow of its infamous champion Gannicus. Poised to overthrow his father and take control a young Batiatus will freely betray anyone to ensure his gladiators are in the highest demand. 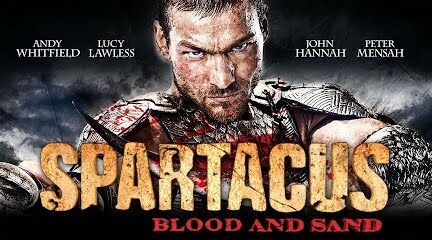 With his loyal and calculating wife Lucretia by his side, they will stop at nothing to deceive the masses in this audacious prequel to "Spartacus: Blood and Sand."